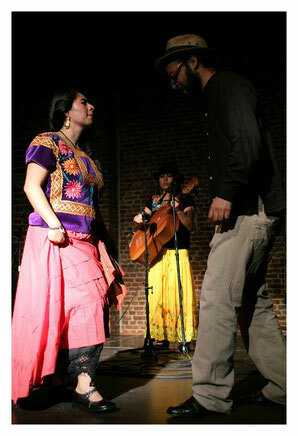 The group "Raices" originated from a workshop of Latin American music in Oaxaca, Mexico. A the workshop was more a research project on the implementation and dissemination of musical culture from the region of Sotaventos which lies between the states of Oaxaca, Veracruz and Tabasco, Mexico. The musical genre from that region is known as Son Jarocho and was born in Mexico more than 300 years ago with its strong musical expression. All persons present at a Son Jarocho session are invited to participate actively which includes dancing, singing or playing an instrument or all three. Old and young people and children form a part of the orchestra and together form a Spanish dance known as Fandango. 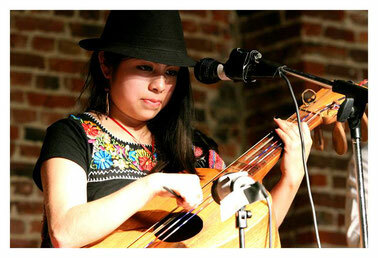 The results then is a sort of the feast of the Son Jarocho. In 2001 Raices launched as a family group in Oaxaca, Mexico. In the following years, their performances and festivals were held in different states in Mexico. In 2007 they recorde their first CD album, titled "son Sin Frontiers" (meaning Without Boarders). The CD featured their own arragement among other songs like: El Paloma, La Lloroncita, El Cascabel, El Colas, La Bamba and many more. In those early years of work they began writing and performing their own compositions such as "La Calandria" La Calandria was also presented in the ballet piece "Tremor" in the Modern Ballet of Oaxaca and in Miami, Florida of 2008. During that period they also performed and recorded tracks that are influenced by the musical structures of the Son Jarocho. 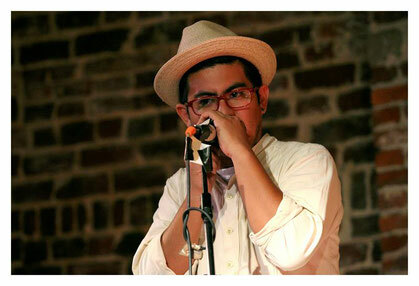 The song " El Son de los Suenos" won the 1st place in a regional competition. Translated into English, it is "A song for Democracy". Later, they also collaborated with the author of the title "El Son de la Barricada" Fernando Guadarrama Olivera, to record and publish their second CD. 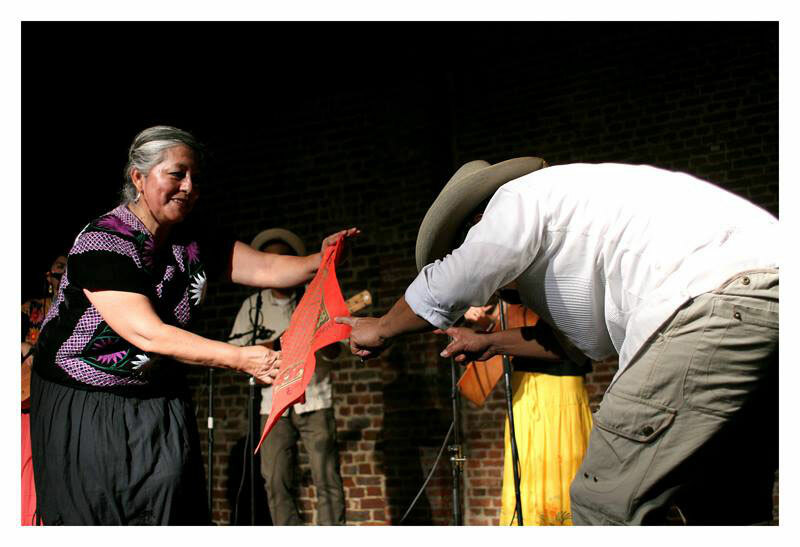 In 2012, they published their third album named "Y la Resistencia Continúa" (And the Resistance continues), wich is a clear allusion to the resistance of the indigenous peoples including their cultural musical heritage. Included on this album were also different titles such as: La Guacamaya, La Vieja, El Balajú, El Lelito. The title El Valedor was taken with the collective Altepee of Acayucan, Veracruz, Mexico. A new version of their composition La Calandria featuring involvement of soloists Angel Garcia (Geiger) and El Son de la Barricada was released as well as a new version with the musician Facundo Vargas (Trombone). La Caña from the author Patricio Hidalgo Beli, musician, poet, and writer. Los Molcajete (latin fusion), Fernando Guadarrama Olivera and Marcos Lindo Conchi from Son Jarocho, composser and jazz musician Emanuel Carrera, "El Doc" Javier Santos Cruz, who was a Raíces member from 2003 to 2012, and Huemac Olivares (music of the earth). As the group matured as a performing act they expand their performances outside Mexico. In 2014, the group have their first international tour of Europe which included performances in Paris,France, Liege and Brussels, Belgium, Zurich, Switzerland and Nürnberg, Germany. They also worked with many international artists including Lila Downs, Roco (Maldita Vecindad) Moyenei, Sonidero Mestizo, La China Sondiera as many more. Currently the group is working on their fourth album and the notice of the new project, Alcaravan education concerts of son jarocho for children and a second tour of Europe. The group Raices also reflects their political activism. As a group they are in solidarity and are strongly committed to a number of movements in Mexico and are specially supportive of the teachers movement, who have suffered in the riots in 2006 under the corrupt government of Mexico especially. Raices - The Family refuses that the Mexican traditions to be forgotten, which has been sent by your ancestors to them: the commitment to share the traditional music, poetry and dance with everyone.